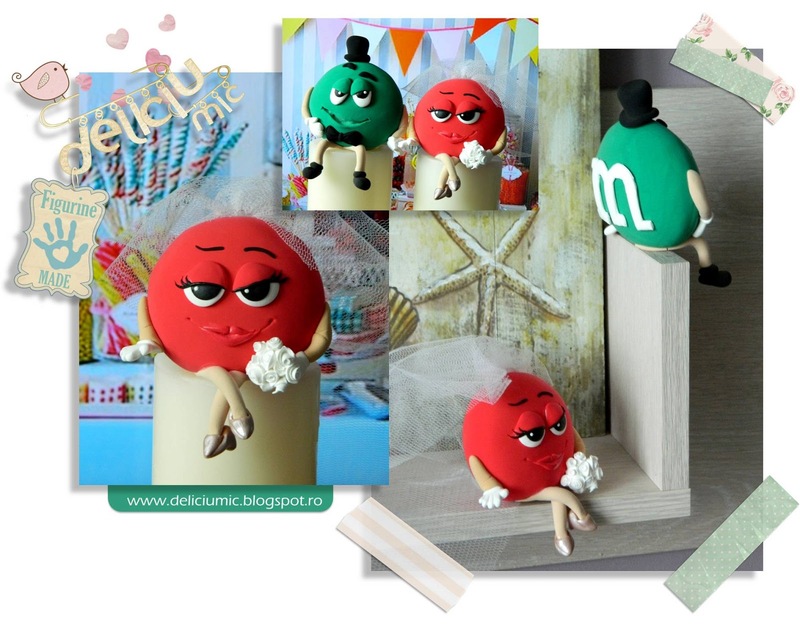 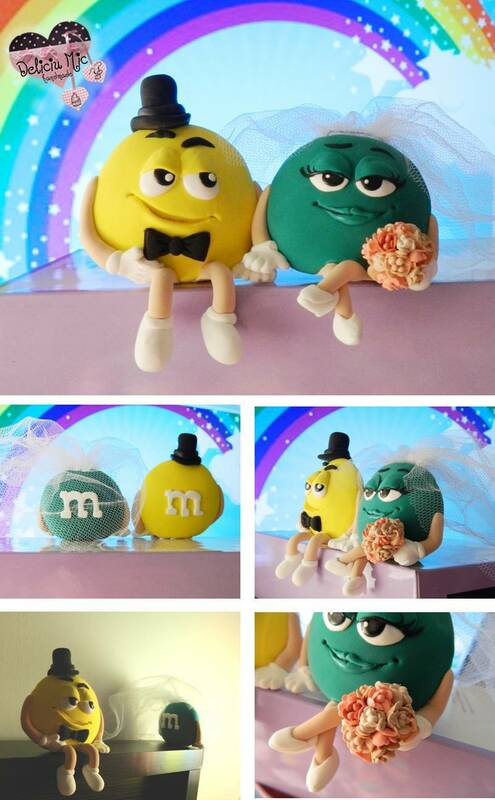 Figurine de tort nunta – Mire si Mireasa m&m – Tema nuntii “Concertul” : Mirele are casti de DJ, iar mireasa microfon. 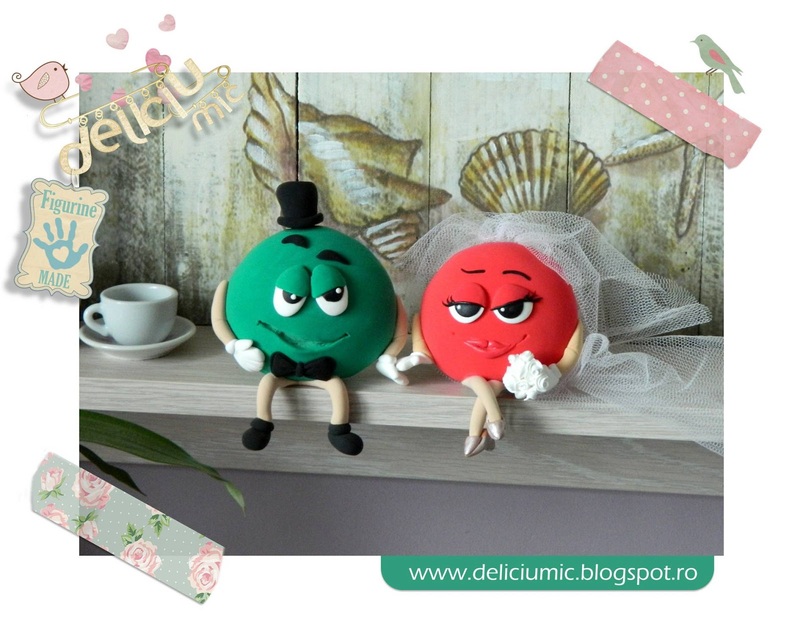 Figurine de tort nunta – Mire si Mireasa m&m – Tema nuntii “Concertul”: Mirele are casti de dj, iar mireasa microfon. 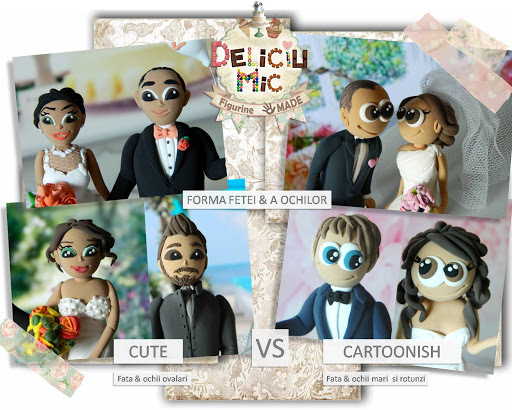 O pereche interesanta Figurine de tort “muzicale” mireasa chitara & mirele chitara electrica. 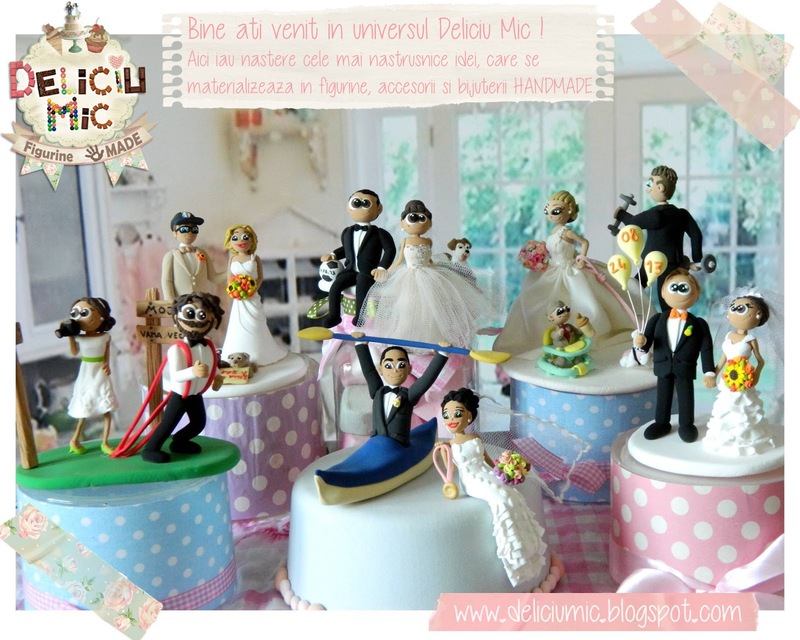 (Toate figurinele Deliciu Mic sunt unicat, handmade, realizate la comanda din pasta polimerica necomestibila). 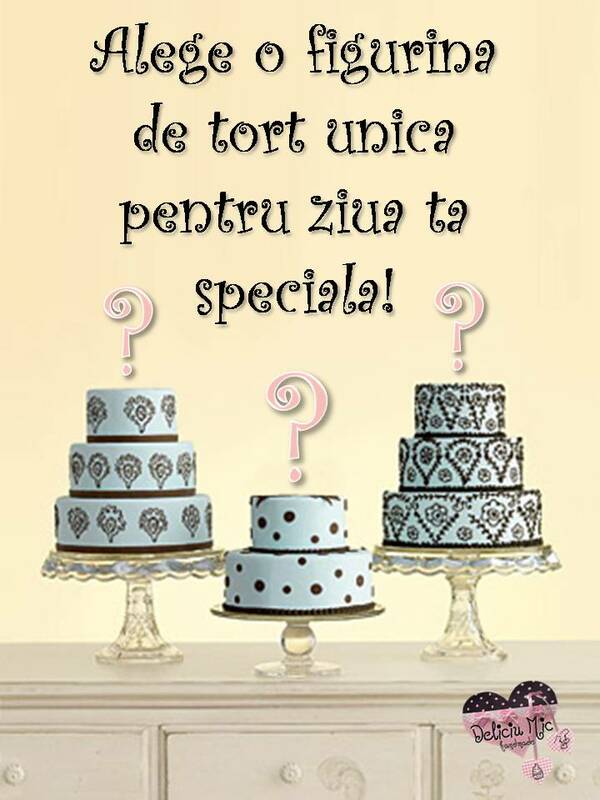 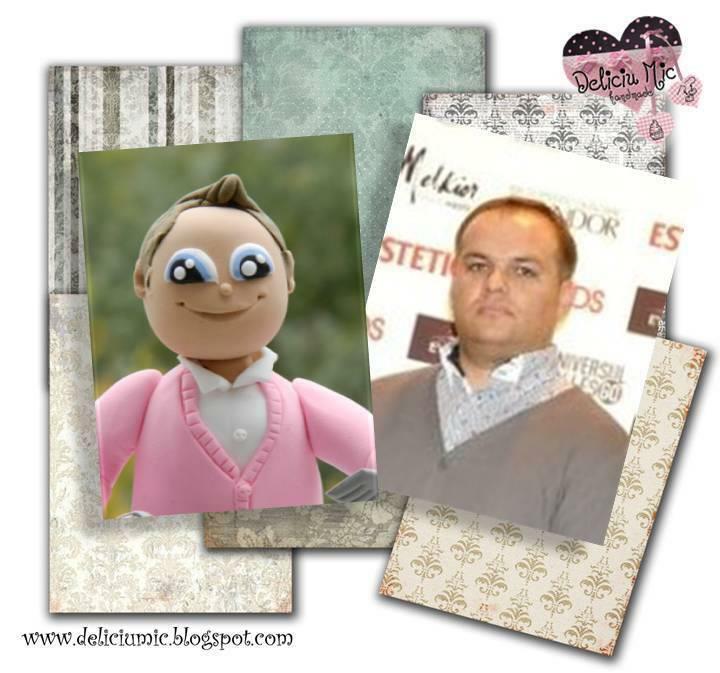 Figurine de tort amuzante pentru nunta – Mire, Mireasa & Catel. 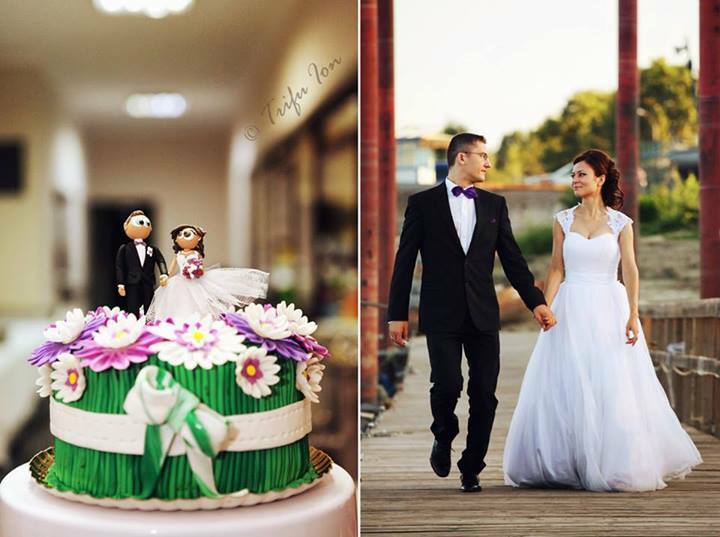 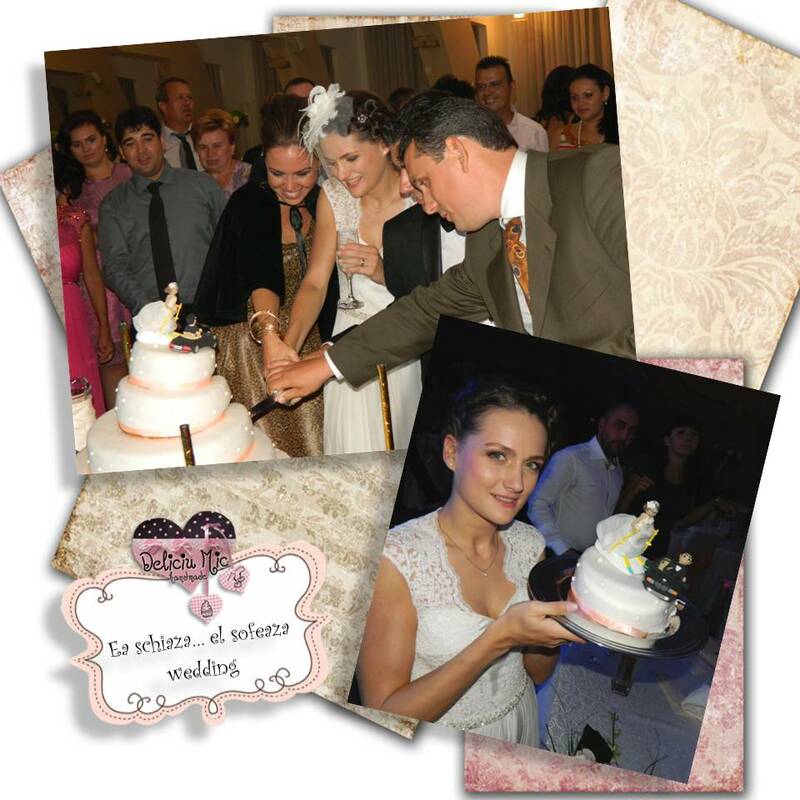 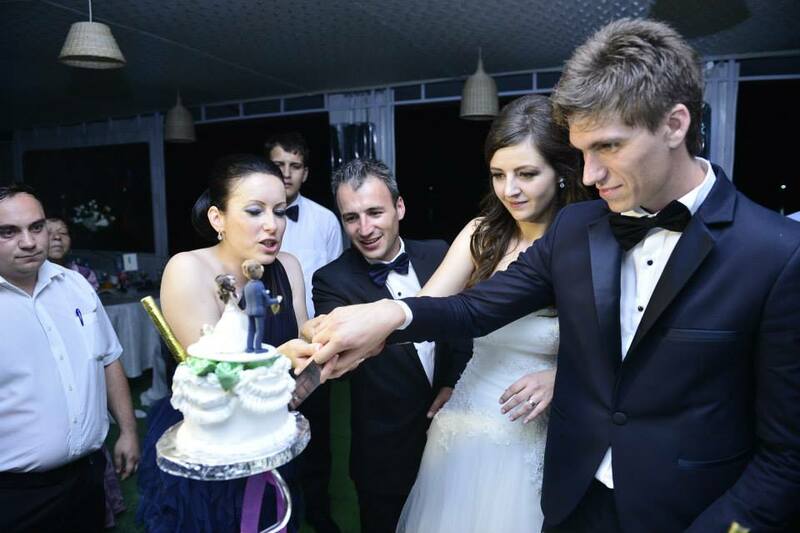 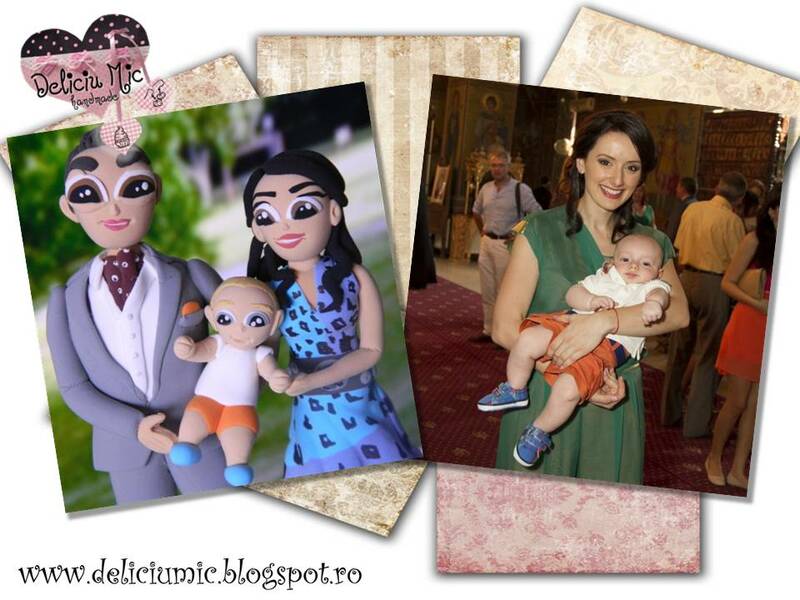 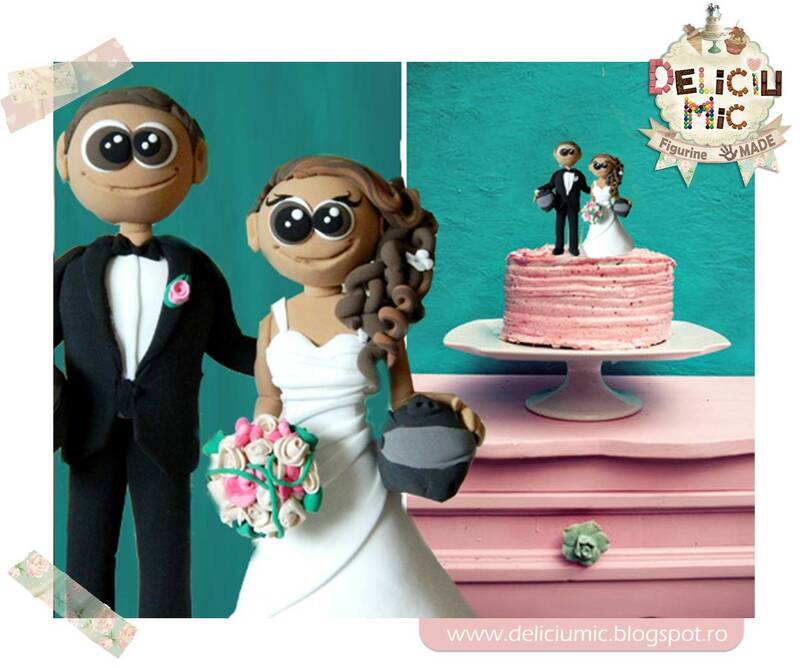 Pentru fanii filmului “CORPS BRIDE” – Figurine de tort pentru nunta, personalizate Mire, Mireasa & Catel. 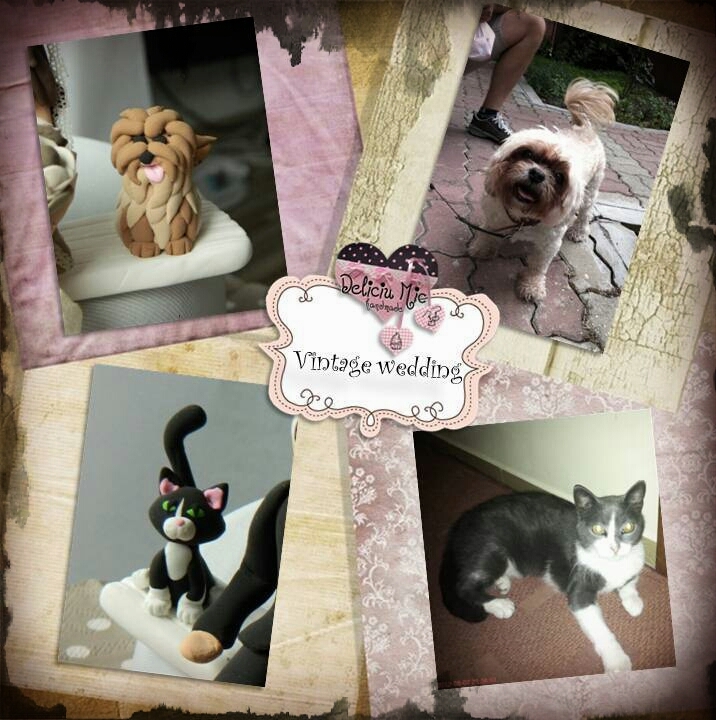 Worldwide Shipping of all our Handmade Products! 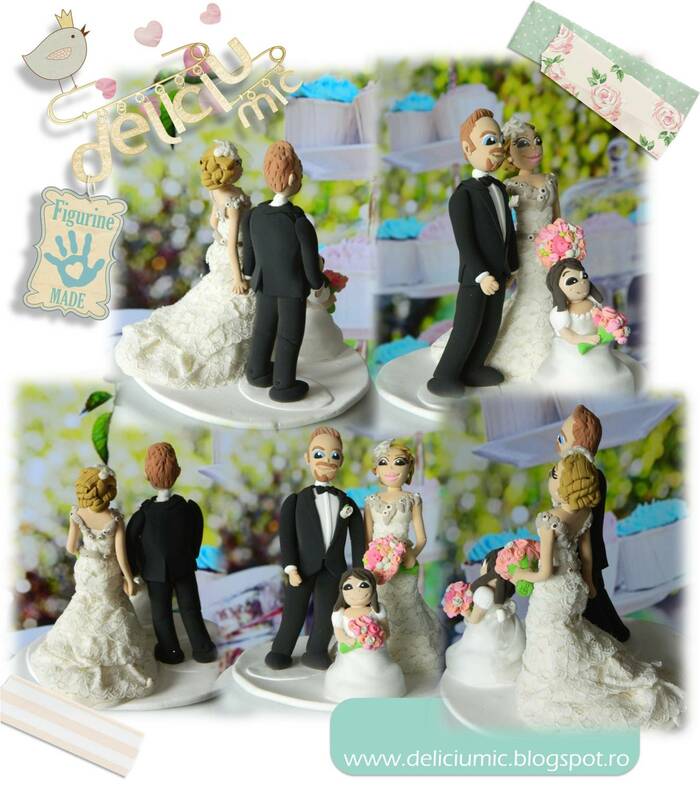 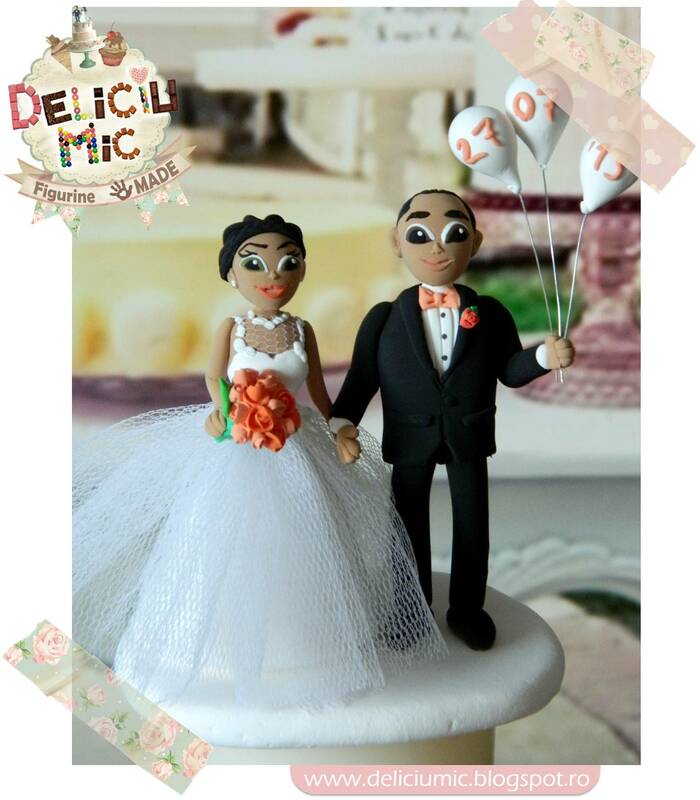 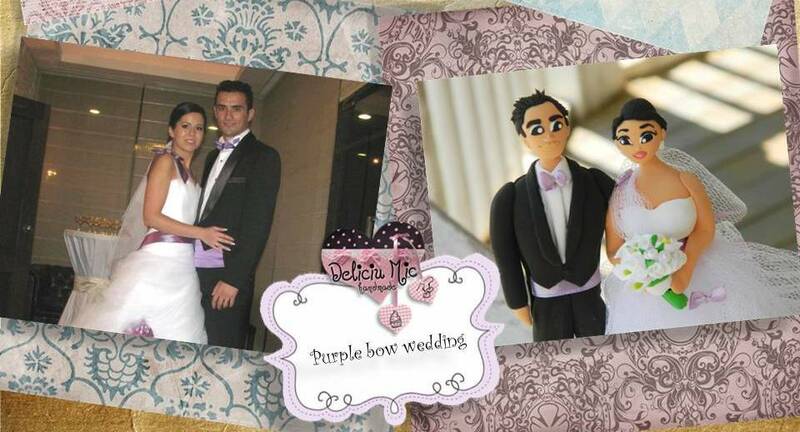 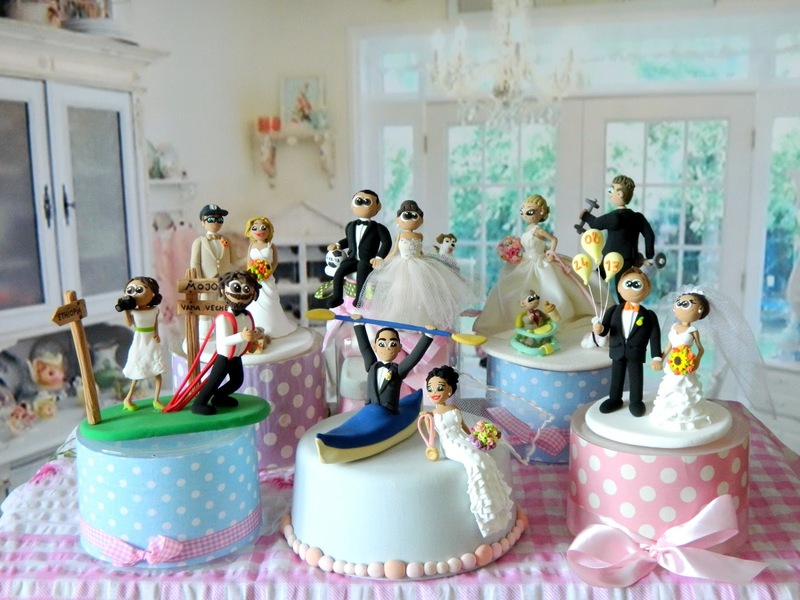 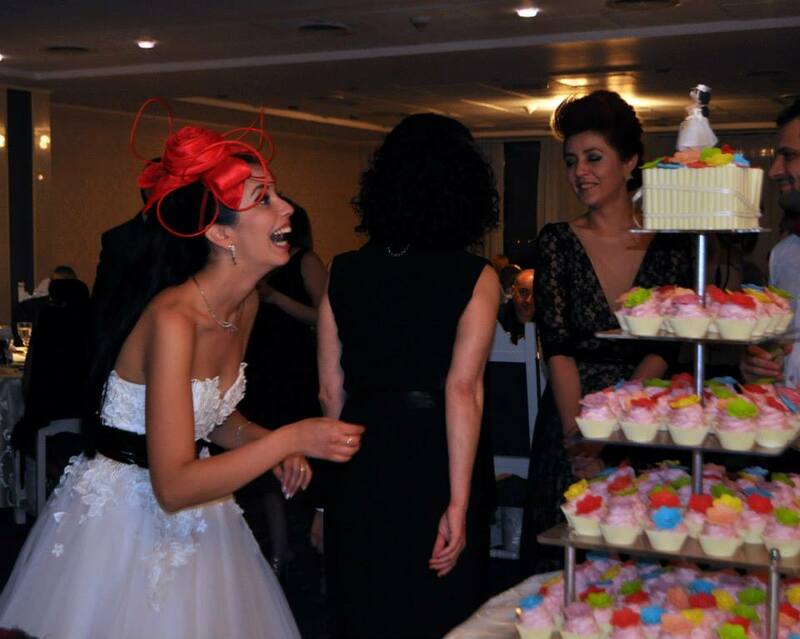 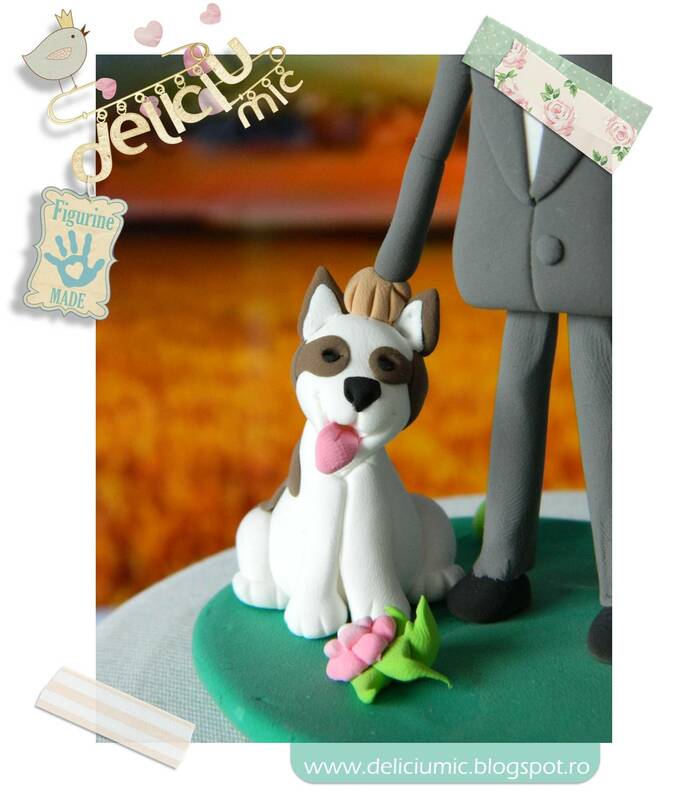 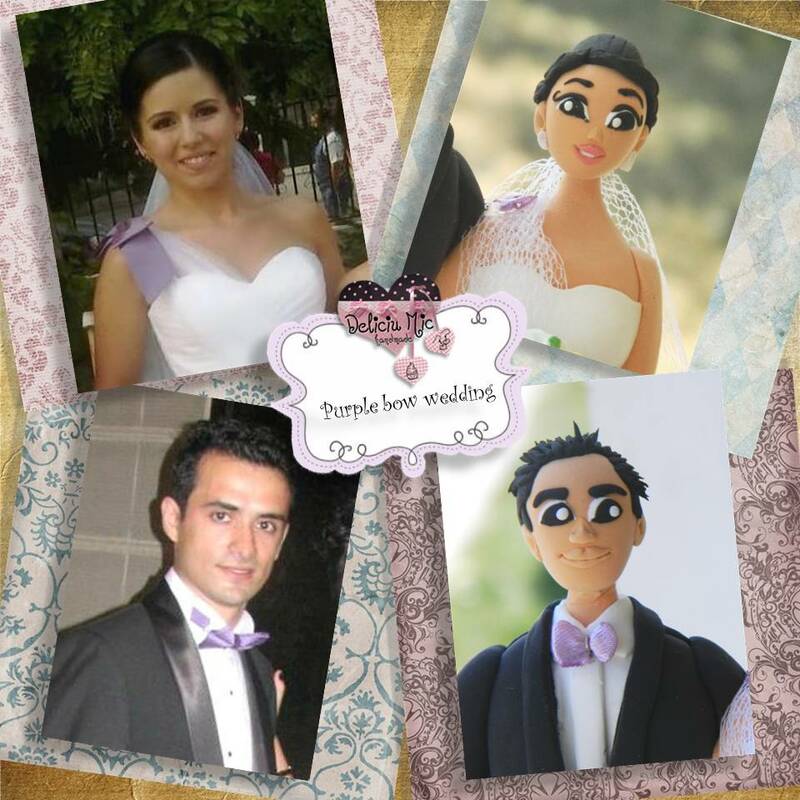 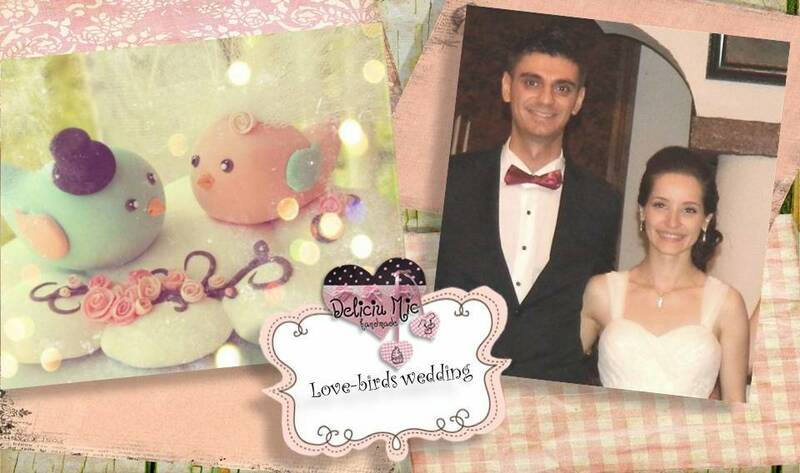 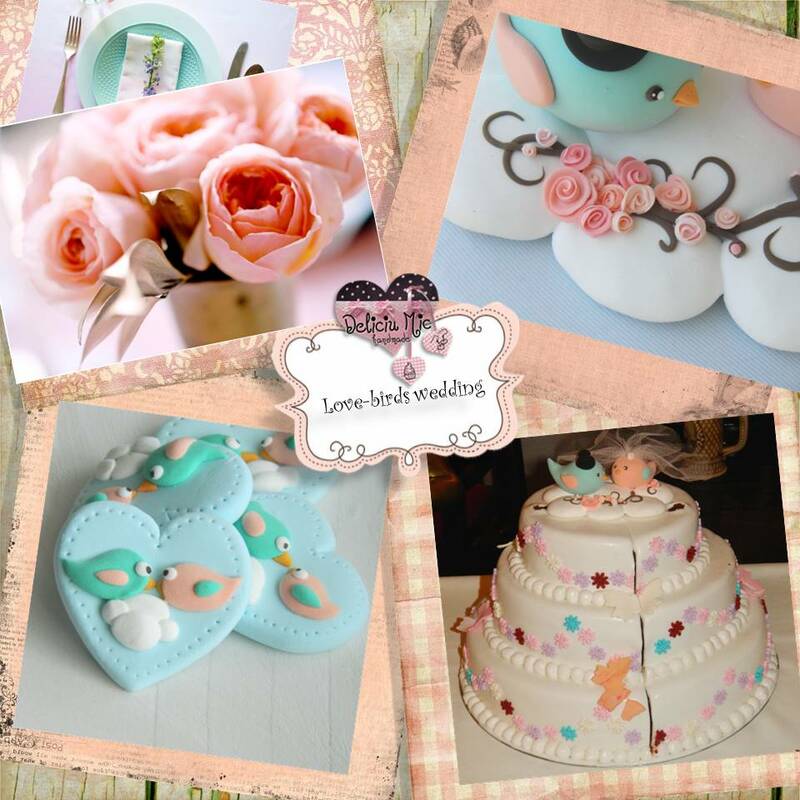 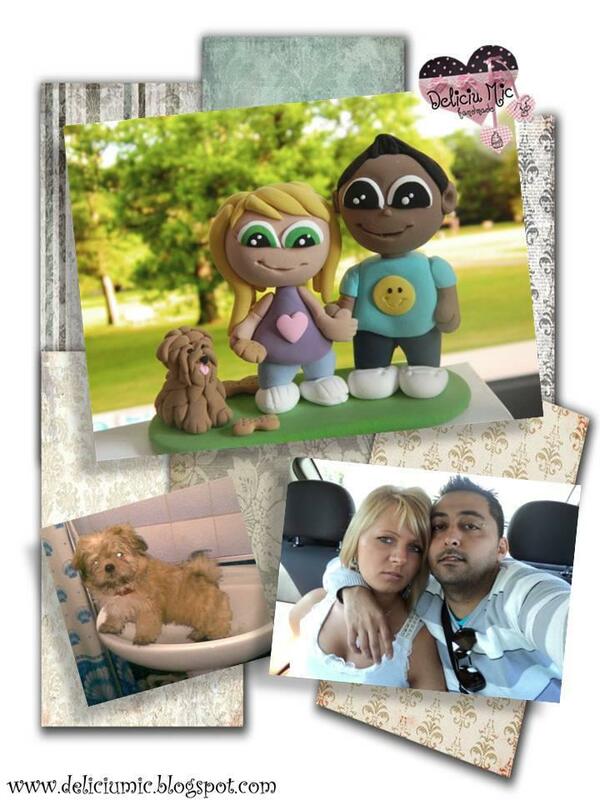 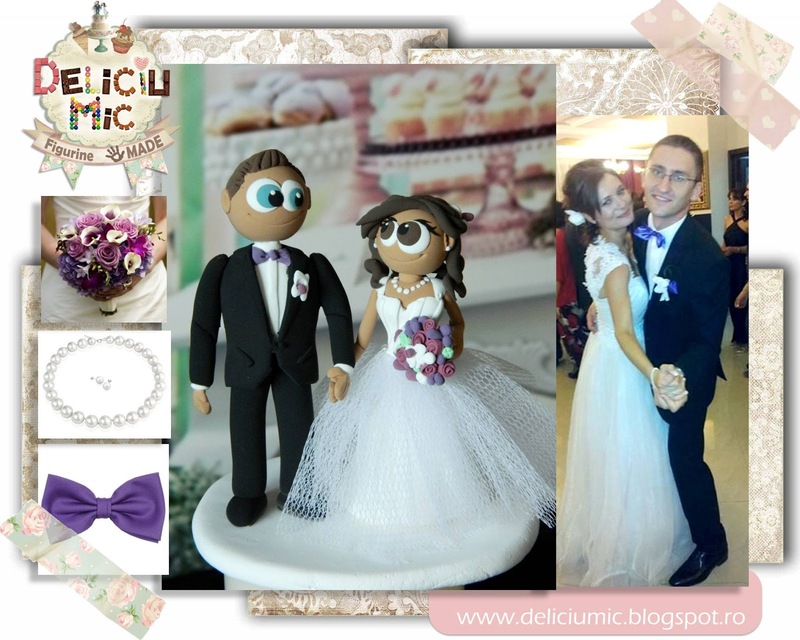 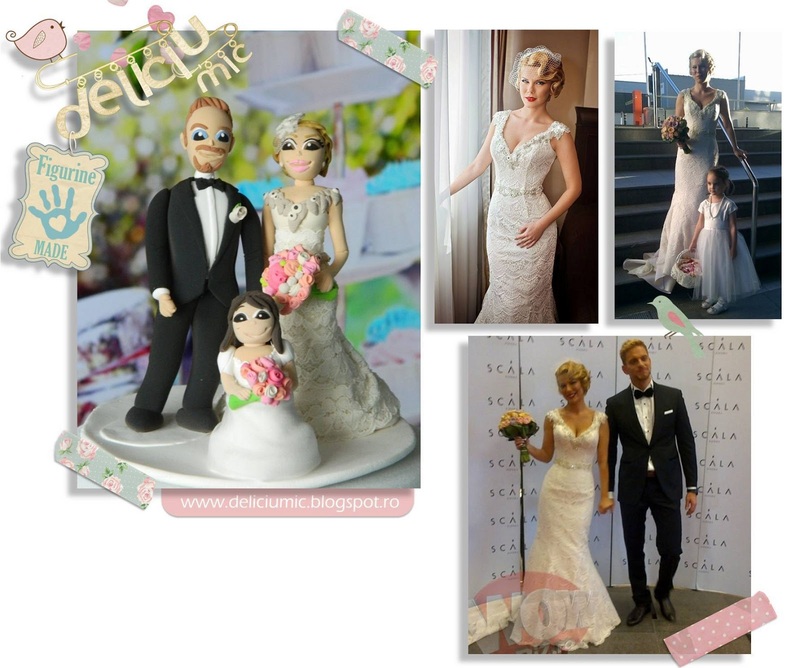 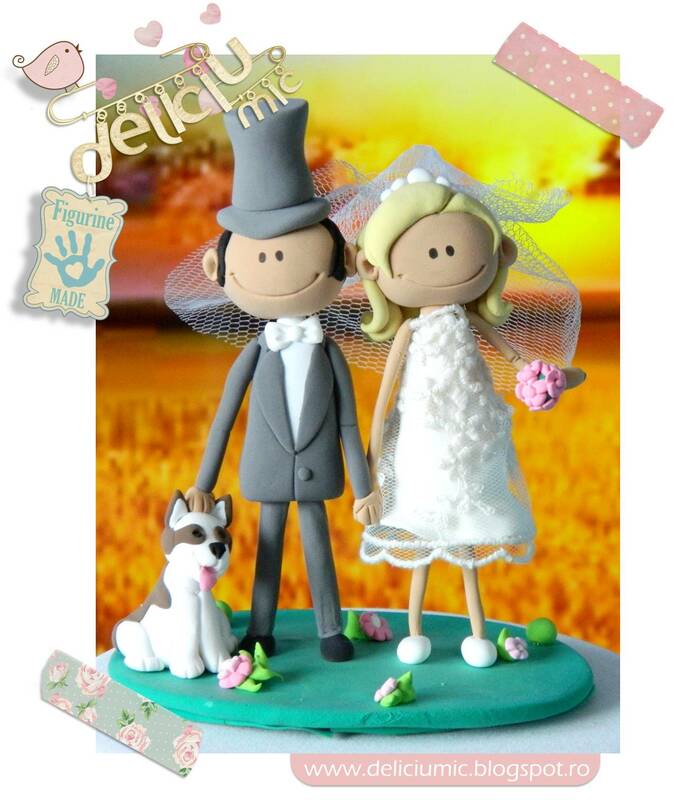 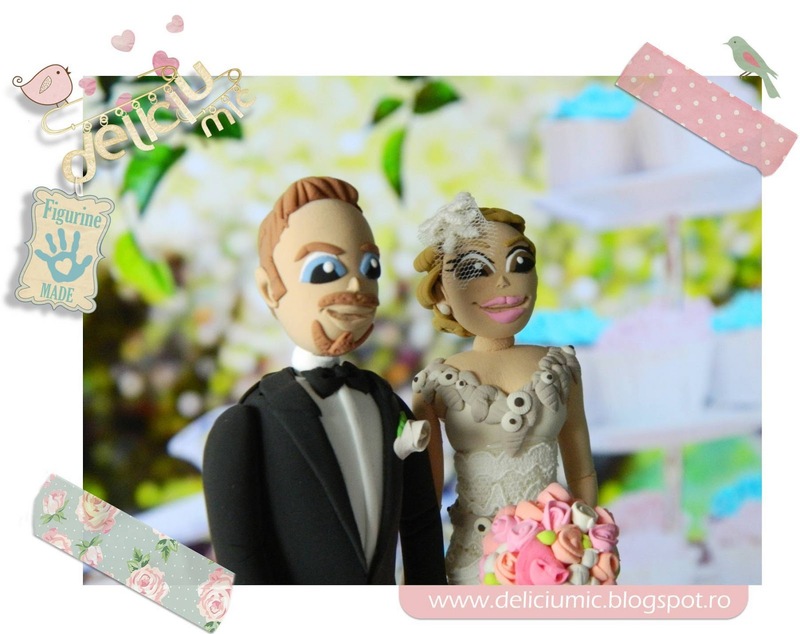 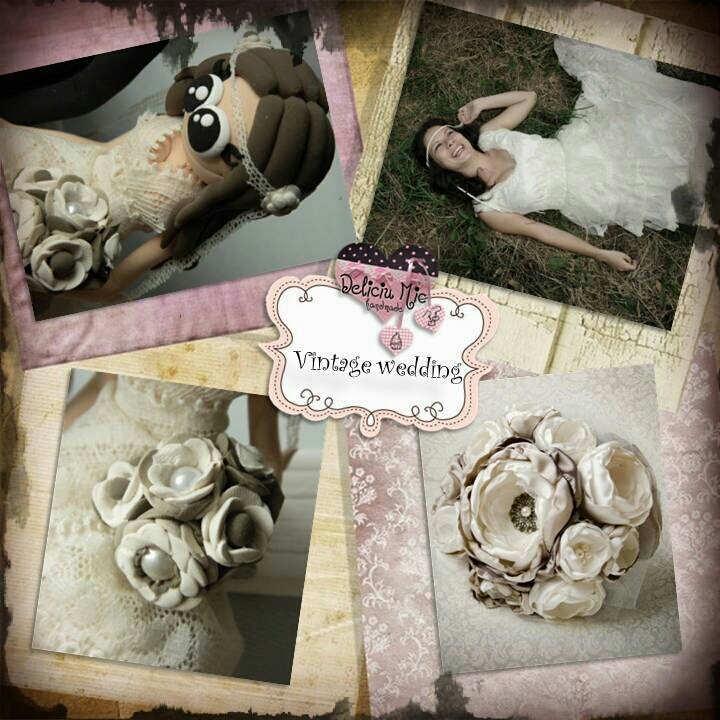 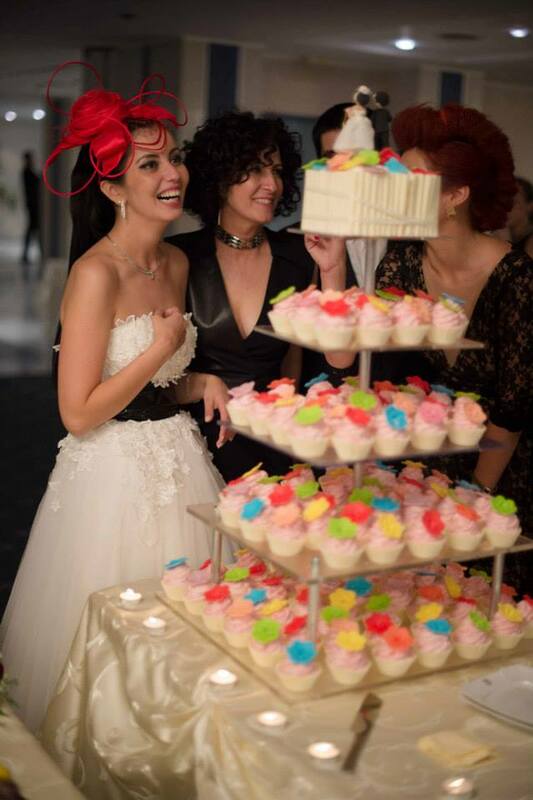 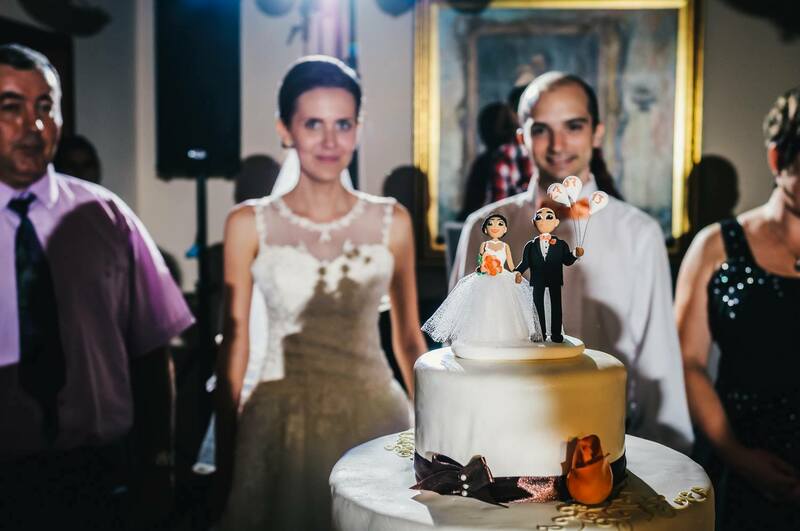 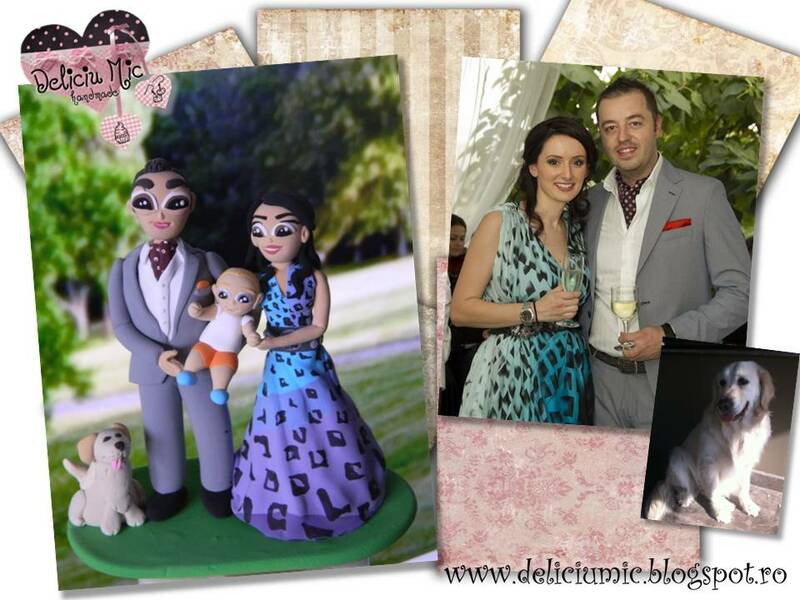 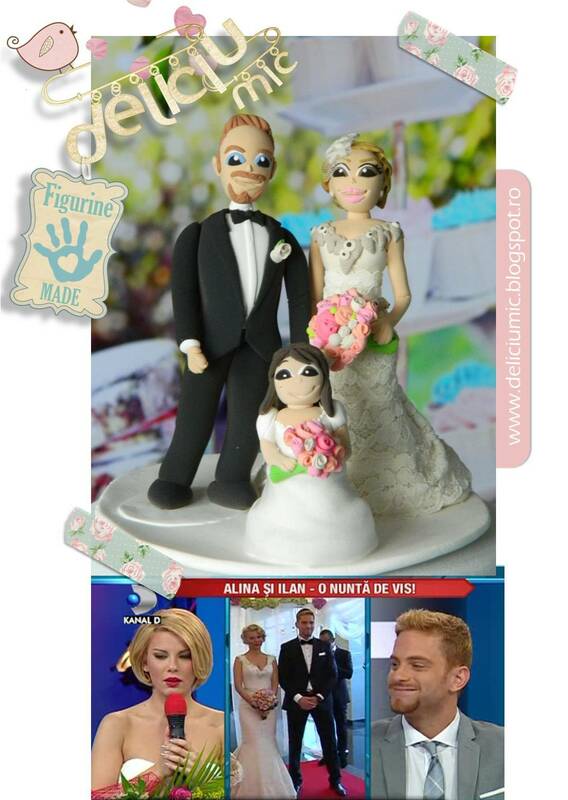 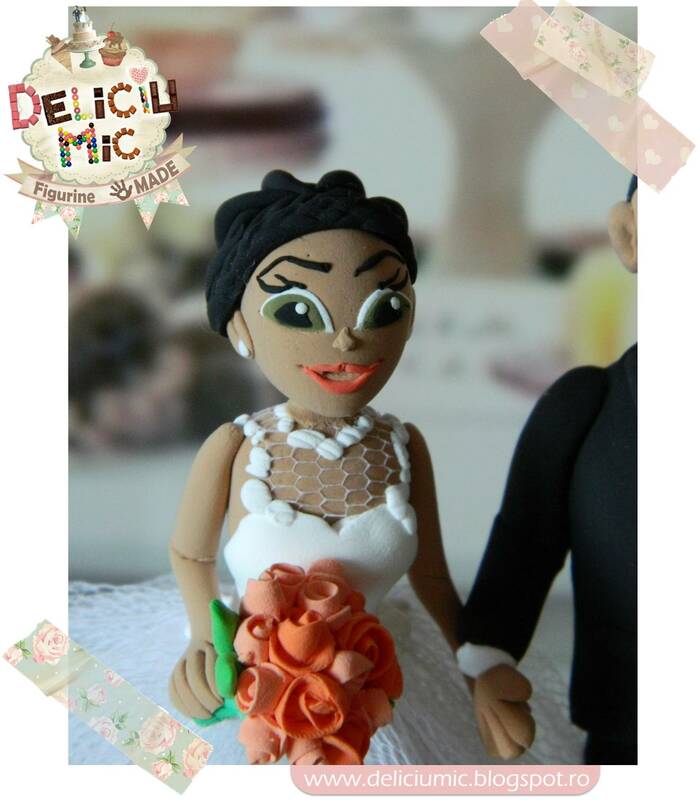 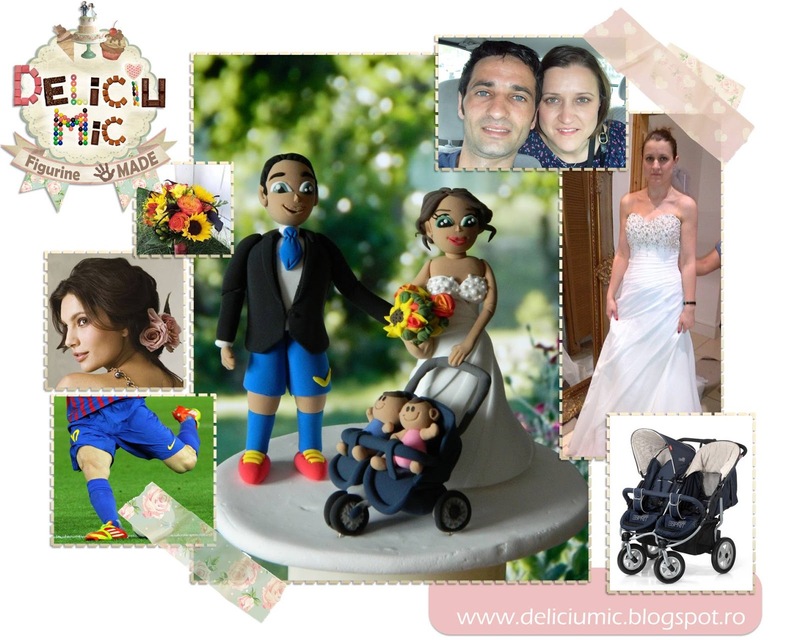 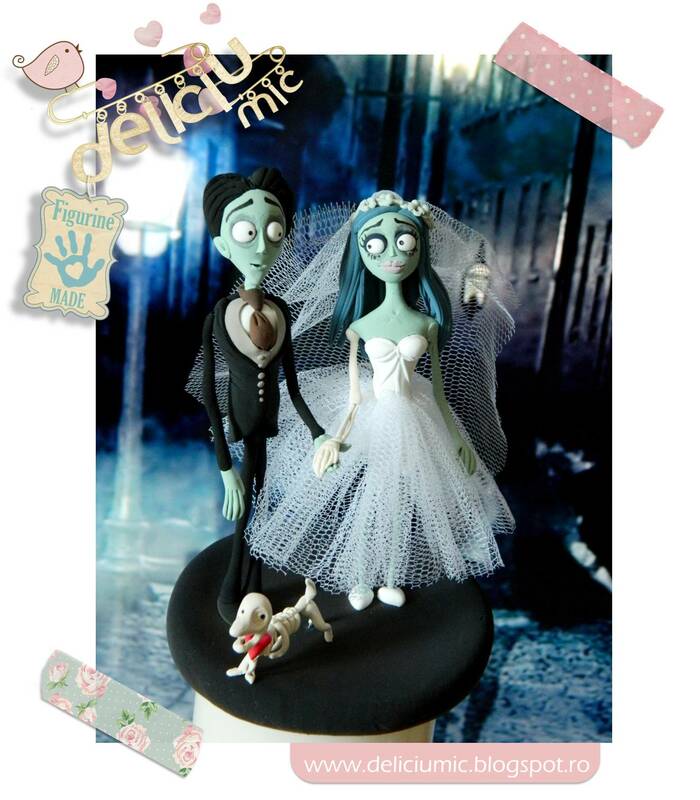 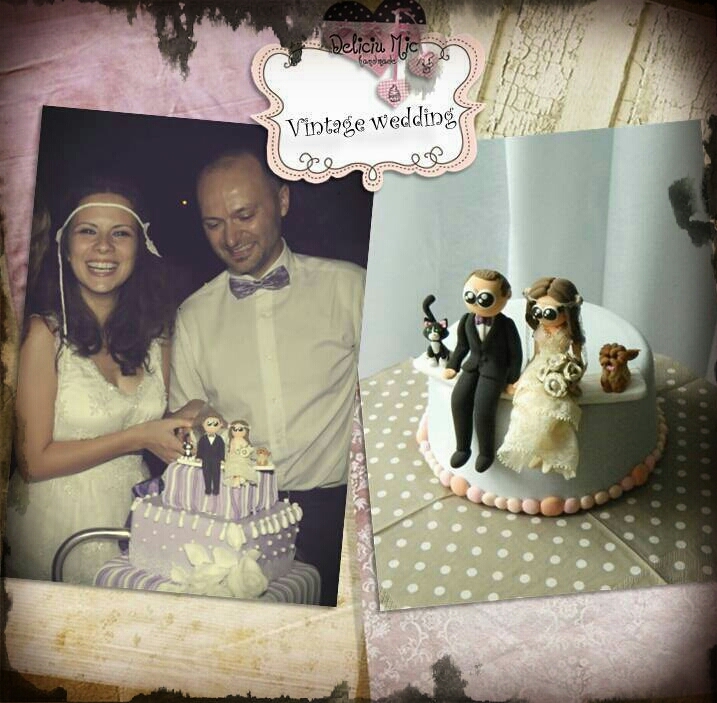 All cake toppers and figurines are unique, handmade from non-toxic polymer clay, custom made especially for you, following your description and information. 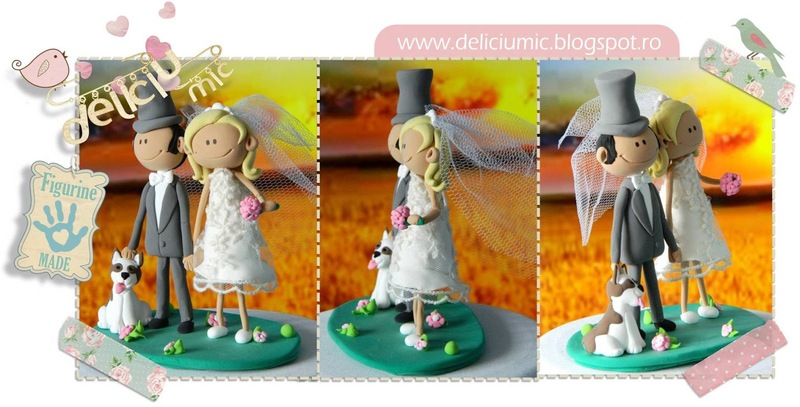 The base’s dimension is about 4 inch (8-11 cm) wide and 4- 5 inch high (10-13 cm). 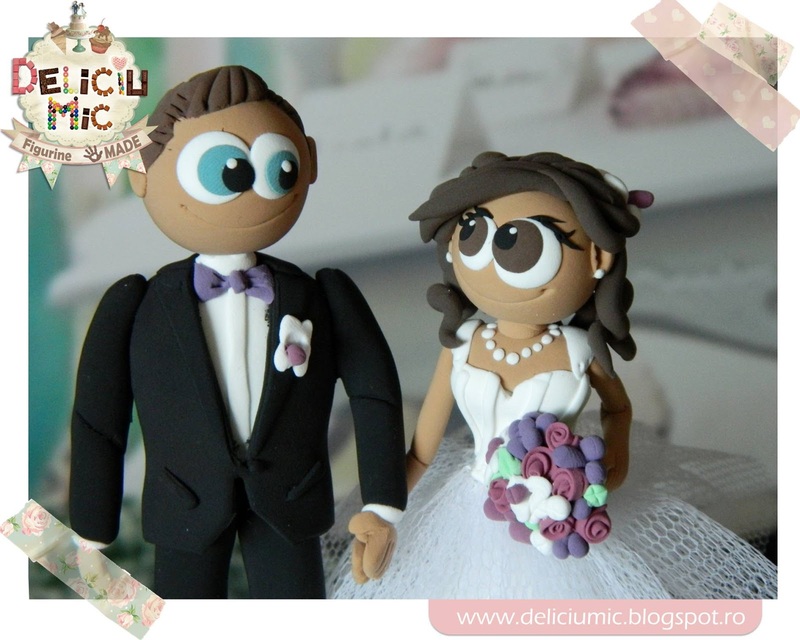 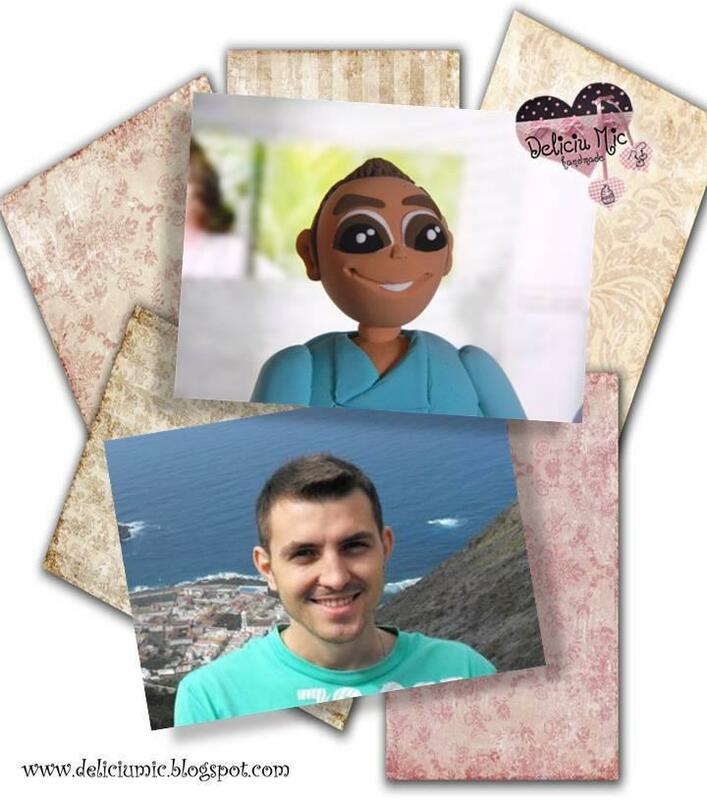 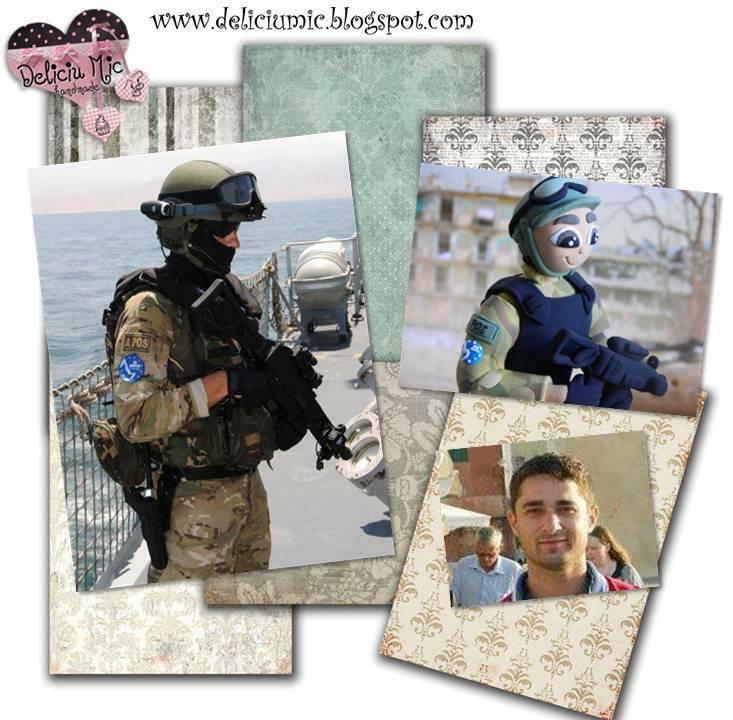 The Cute Delight products are carefully crafted with love, so that we can make our customers feel one of a kind and unique. 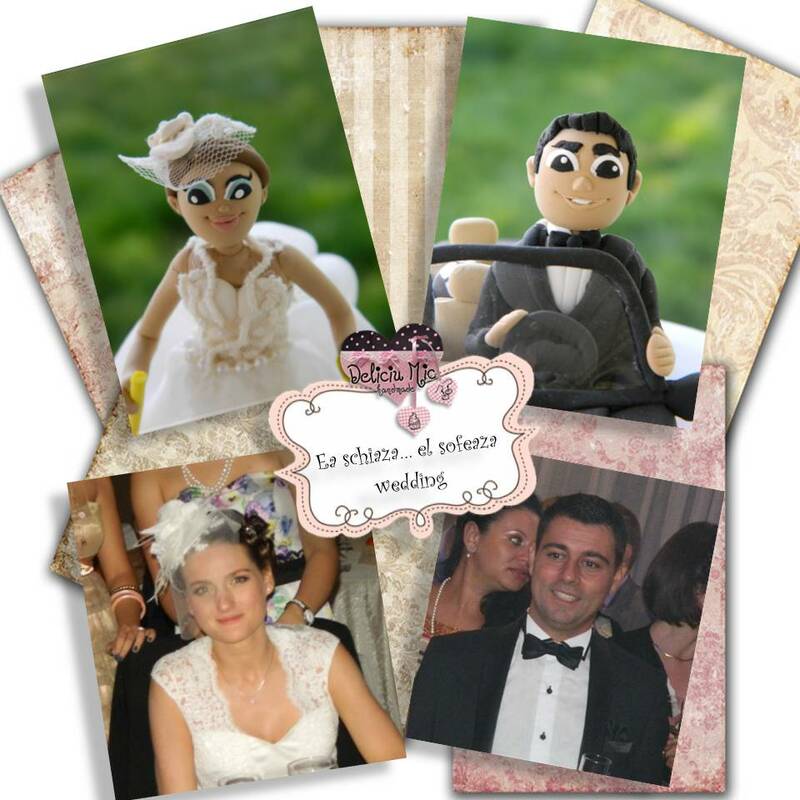 We take into consideration your personal characteristics and any other things which make YOU special, such as facial features, hairstyle, pose, clothes, pets, kids or other. 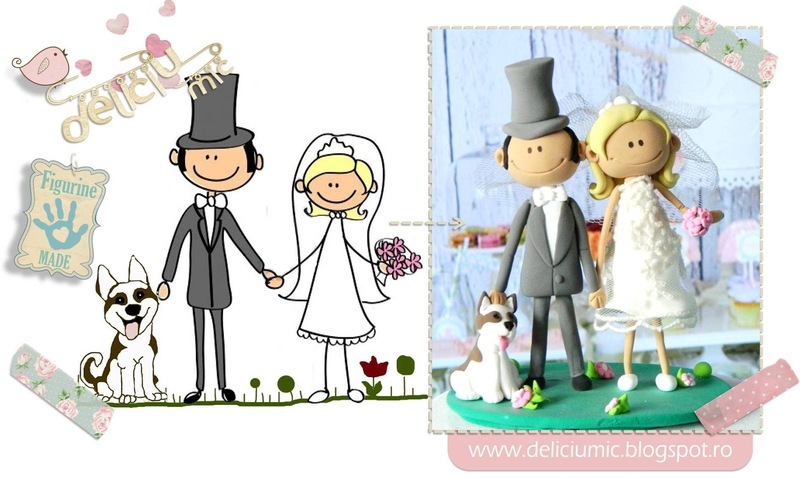 It takes about 2 weeks for the cake topper to be handcrafted + 1-2 weeks to be shipped to you. 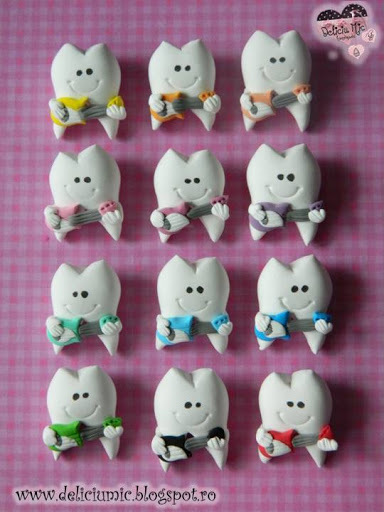 Please let us know if your order is urgent, so we can find a solution. 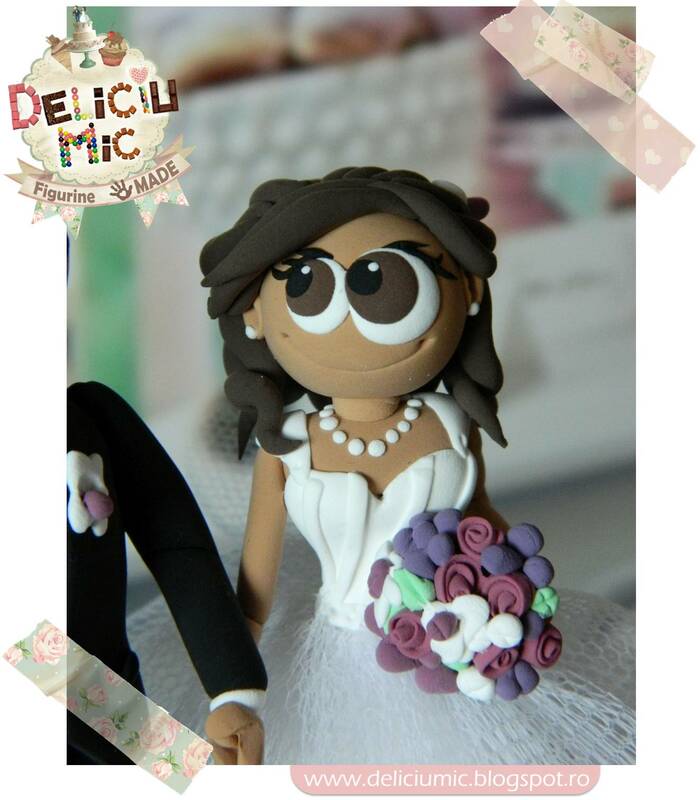 We accept payments through PayPal or Bank Acount When placing an order it’s necessary to deposit half the amount. 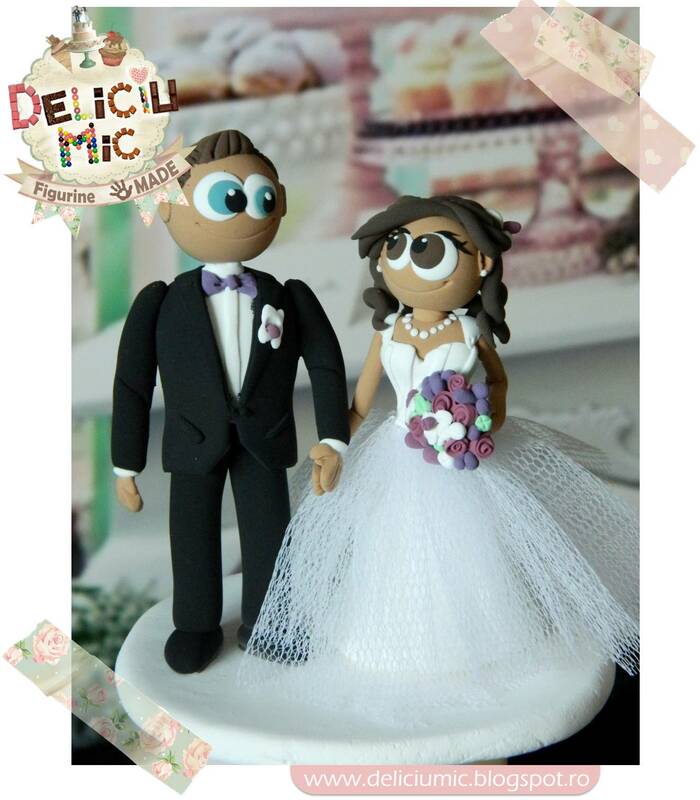 Any other additional amount will be deposited after you receive the final picture of the handcrafted cake topper, or other product. 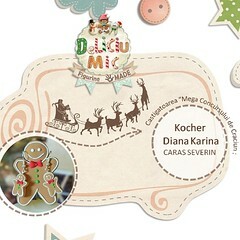 After receiving the total amount, the product is ready to be shipped. 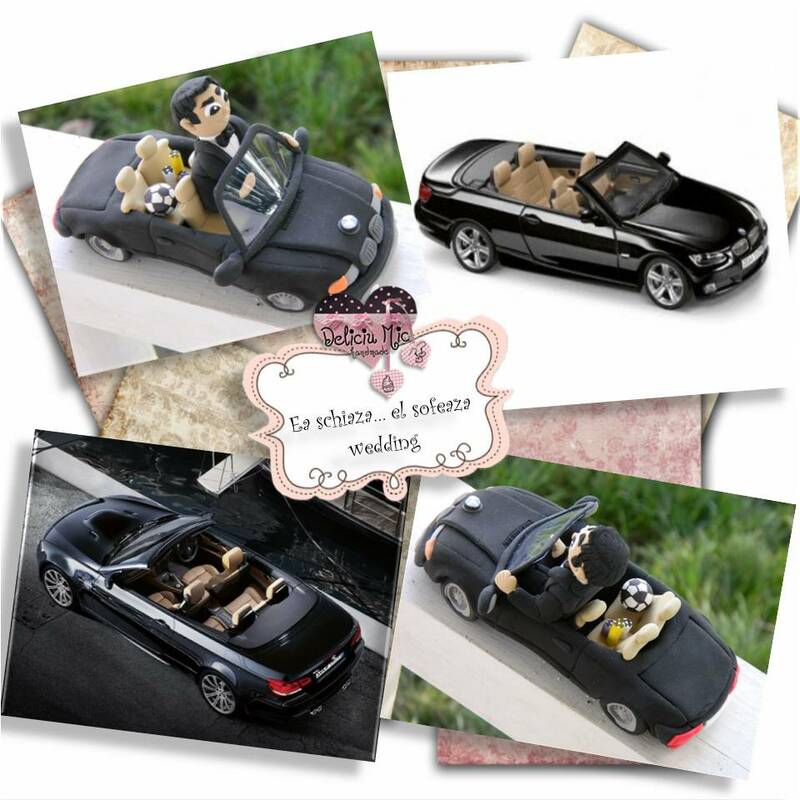 If there are any modifications to the design of the order, please make sure to let us know asap, so that it can be delivered at the desired date by you. 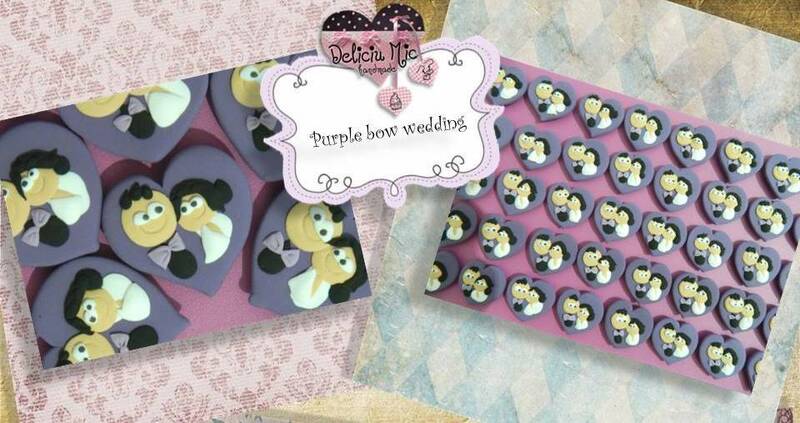 Every product is carefully packed, in special boxes that are keeping them safe during transportation. 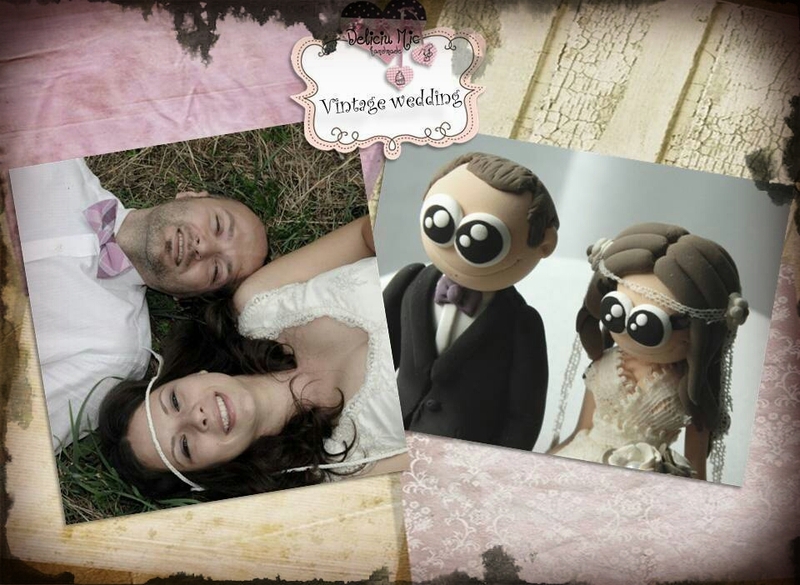 We ship through Post Office mailing service, that connects with the Postal Offices worldwide. 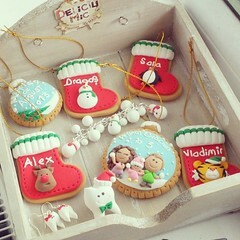 Shipping is due to take about 1 week, depending on the destination. 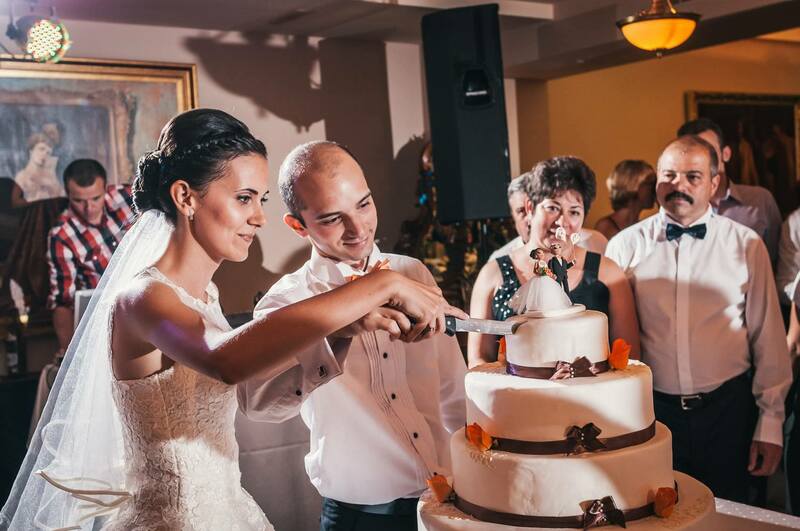 In some situations it may take a little longer than a week, that’s why we kindly ask you to consider this when ordering our custom products. 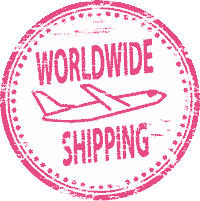 Once we will get your order shipped, you will be provided with a tracking number, so that you can see the route of your package. 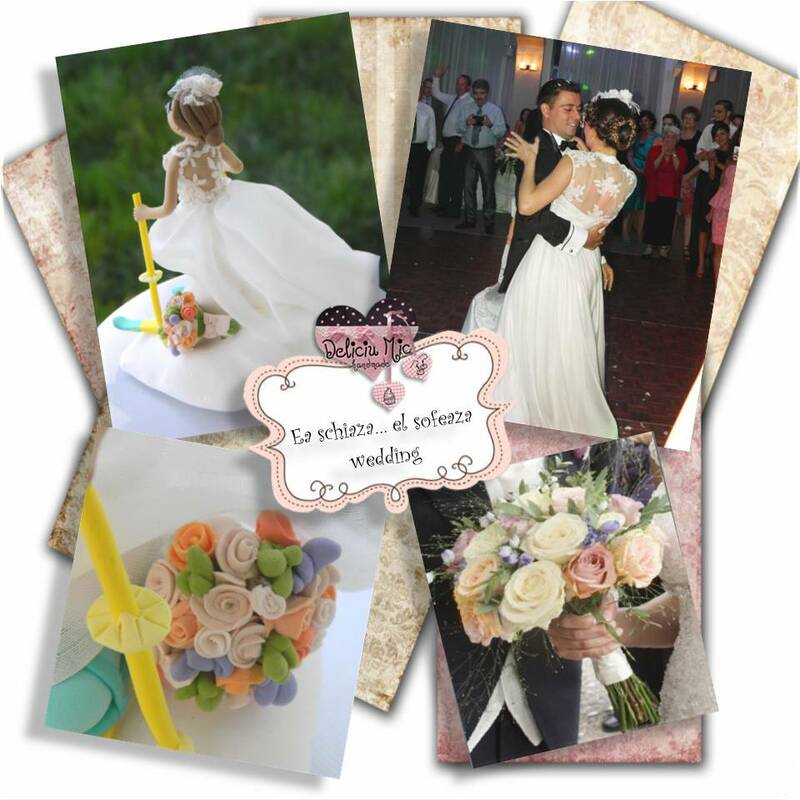 If it happens that your item may arrive damaged in any way or if you are unsatisfied about the product, please let us know as soon as possible – in case of transport damages, please provide us with a picture of the product, so that we can work out on a solution. 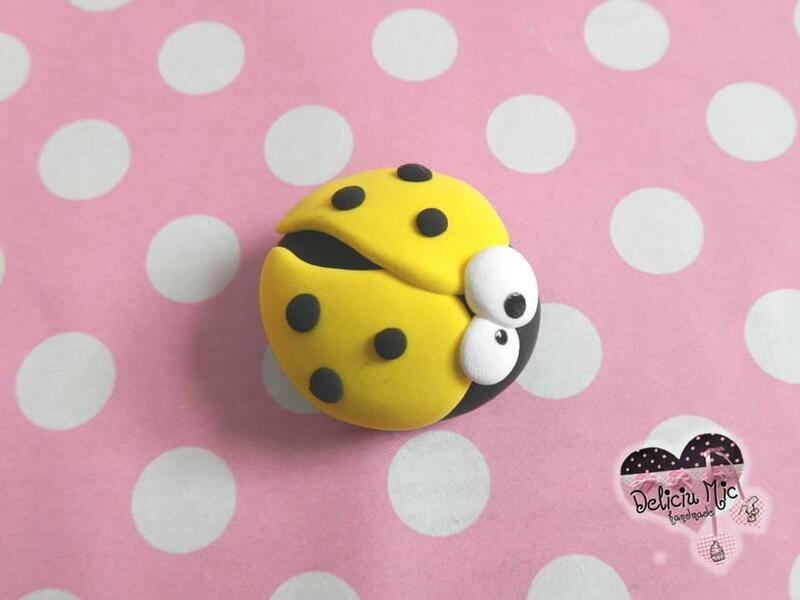 We can gladly refund you, if you ship the item back to us (the shipping costs will be supported by you). 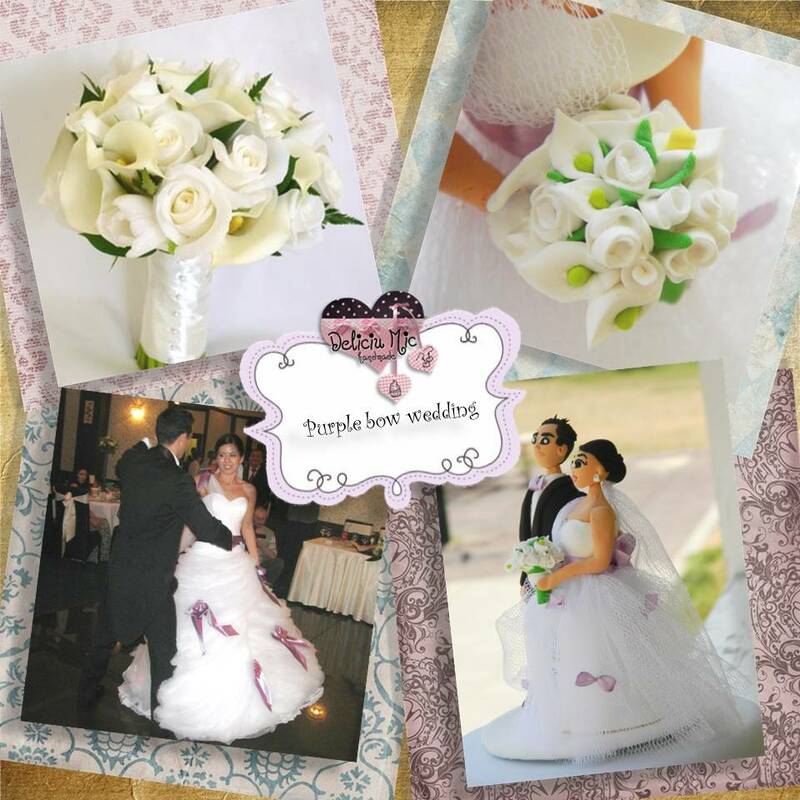 Thank you for visiting our page and we hope that we can design and create for you whatever you have dreamed of!